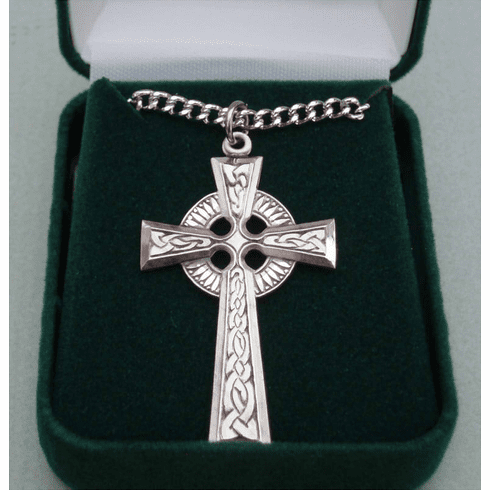 Large Celtic Cross Medal Sterling Silver 24" Chain/ Approx. 1.5" x 1". Made in the USA.